Words cannot express how much bliss and ecstasy I feel right now. I’ve always wanted to try this sync ever since I came across the more famous “Echoes” sync that works with the end of the film. 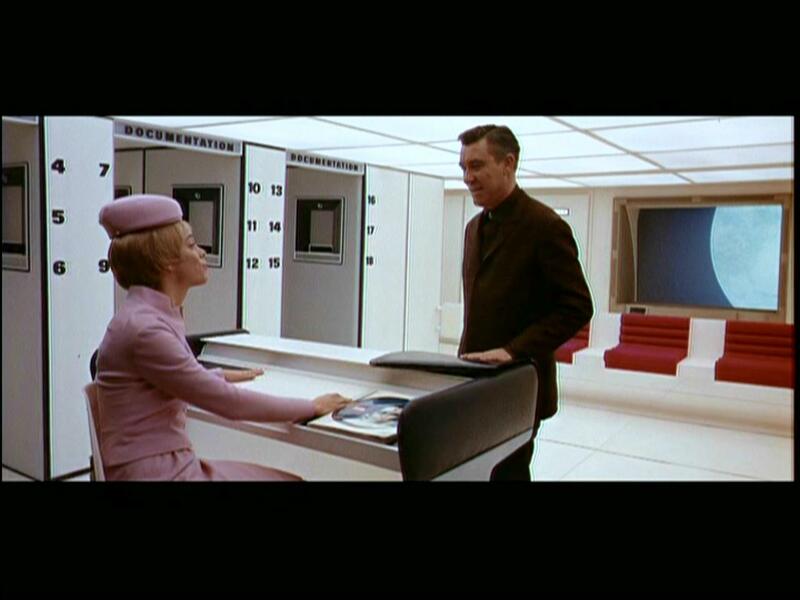 I’ve mentioned a few times that 2001: A Space Odyssey is my favorite film of all-time. For me, I knew how the full sync was supposed to go but I didn’t have the specific albums required. This particular sync requires songs from three albums (Meddle, Ummagumma, and Atom Heart Mother) in a specific order, which you can find here. There are no repeats. If you were to do it manually, I suggest doing it as a playlist. This is the first time we see the black screen. It’s mainly filler just because there’s nothing on screen during the Overture. Just before the song title is spoken, the MGM logo appears. Wind sounds are heard as the camera pans over the plains. We see the furry apes and other animals. Just the overall nature of the song fits the mood. The apes are gathered around the water hole and screeching, just like some of the animals in the song. Also, the “oohs” heard in the song can be a small reference to the music played whenever the monolith is on screen. The apes rest in the namesake cave. We hear drums similar to ones from “Also Sprach Zarathustra”. The piano parts heard when we see the monolith are quite calming, despite the confusion on screen. The discordant nature of the song is prevalent during the discovery of the bones. Everything returns to normal before and following the famous edit of bone to satellite, at least for a little bit. Part IV is a reprise as we see the shuttle moving towards the circular station in preparation for docking. Part I is a soft flute as the shuttle waltzes with the station. Part II begins with the reveal of Dr. Heywood Floyd. When he is by the security desk, the secretary is wearing pink. She is on the left, he on the right making a visual representation of “Pink Floyd”. Part III is short as Floyd finishes his conversation. The song mentions Jupiter and Saturn as well as their moons. Dave goes as far as Jupiter, according to the mission, towards the end of the film when he goes beyond the Infinite. In the book, the destination is Saturn. When it starts, there are three panels of white light, possibly representing each part. There is a fourth panel but that is right behind the camera. There are some space sounds heard throughout. The lights used at the base contain 12 individual lights; there are 12 songs in this sync. Starts with birds chirping (in SPACE!). Actually, the entire song is very natural and earthy and yet this song plays in space, devoid of nature. Also, the show that is being shown on the tablets is aired on BBC 12; again a reference to the number of songs in the sync. Towards the end, we hear some kind of buzzing creature when HAL is being interviewed as well as something break. Could this refer to a bug in the system and HAL breaking down? Features an astronaut’s mother as she wishes him a happy birthday. The letters “ATM” appear on a screen during the chess game; just add the “O” and you have the first word of the song, “ATOM”. The sound effects heard during the retrieval of the AE-35 unit do sound like some kind of technology. It finishes close to the end of the first half of the film before Intermission. The screaming that is heard is only a sign of what terrible things are to come. Dave is at the controls of the space pod as he tries to retrieve Poole. HAL then shuts off all vital functions for the hibernating astronauts, stopping their hearts. Starts with “Something Else” as Dave has to think about how to shut down HAL. “Syncopated Pandemonium” shows Dave prepping to leave the pod without a helmet. “Storm Signal” has Dave breaking into the memory center. “Celestial Voices” has HAL dying, with only Dave to hear his final words. The audience applauds as not only has Dave triumphed but also that the classified video is shown and we learn why HAL did what he did. Then ladies and gentlemen, we reach the end of the cosmic journey with what I personally consider to be the apex of syncs, “Echoes“. The video, albeit timed very differently from the one featured for the full sync, speaks for itself. The fact that the song is nearly the same length as the last part of the film parallels the first of half of The Dark Side of the Rainbow in an uncanny fashion that you have to wonder if this was truly intentional. The video I’ve provided here is the sync of the song that I have grown accustomed to and to see the timing change for the full one threw me off as I knew the points where things were supposed to happen, only to see a delay. If I were to do this manually I would wait until “Jupiter and Beyond the Infinite” appears and then start the song. Also, take a look at this performance of the song from the “Live in Gdansk” tour and see if the imagery rings any bells. I will admit that I’m biased because of how this works with my favorite movie. There are some dead spaces but they’re not long. The timing of “Echoes” did disappoint me but if you just change it so that it looks like the stand-alone video, then it should be fine.